Welcome to the June 2009 issue of GL's consulting newsletter. In this issue, we focus on Federal Communications Commission's (FCC) licensing and engineering aspects. One of the key functions of FCC is to insure that radio/wireless communications services of various operators operate free of interference from one another. Parameters that influence potential interference include frequency of operation, guard band, modulation techniques, RF output power, receiver sensitivity, emission designators, antenna orientation, distance to adjacent repeaters, path profile, etc. 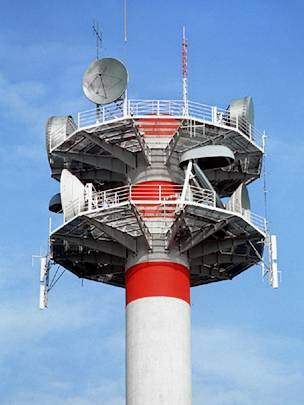 Operators need to insure that technical parameters of radio systems fall within specific FCC guidelines. For example, FCC has allocated 50 MHz bandwidth for public safety applications in 4.9 GHz band spread over 18 channels, ranging from 1 MHz to 5 MHz in channel width. Types of licenses one can obtain in this band are general, primary, secondary, permanent fixed point-to-point, etc. Approach to obtaining an FCC license will depend on the application. Therefore, understanding the needs, technology and bandwidth requirements is important. Any agency licensed by the FCC will have the right to use the entire 4940-4990 MHz frequency band. Therefore, interference is a matter of concern in this band due to multiple agencies sharing the spectrum in a given area. The interference can, however, be minimized or possibly be even eliminated with proper frequency planning, system design, and use of good directional antennas. Generally, multiple agencies work together in finding a technical solution to resolve interference issues, if any, and many jurisdictions have set up Regional Planning Committees to coordinate frequency planning. Engineering exhibits, contour study etc. For a complete list of GL's services, please click here. GL has also developed in-house a variety of design tools that are necessary for analysis and contour studies as per FCC rules and regulations 47 CFR (Code of Federal Regulations). GL's cost effective expertise has greatly benefited a large number of customers who could not otherwise afford to hire highly specialized people with extensive telecom and microwave experience, and an indepth knowledge of FCC guidelines to obtain FCC Licenses. GL Communications Inc. provides technical consulting , engineering and testing services in wireless, telecom, and IT disciplines. Our customers include telecom wireless and landline carriers, mass transit and public safety systems nationwide. We have designed hundreds of wired and wireless telecom network systems over the past 23 years. GL is a DBE/MBE firm certified by Maryland's Department of Transportation (MDOT), Washington Metropolitan Area Transit Authority (WMATA), Virginia Department of Transportation (VDOT), and South Eastern Pennsylvania Transportation Authority (SEPTA).